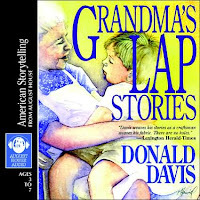 Donald Davis uses his cozy Southern voice to re-tell old favorites like The Little Red Hen and Three Little Pigs. The man paints pictures with his storytelling. Who doesn't love fairy tales? 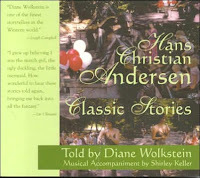 Hans Christian Anderson's are charming and familiar. 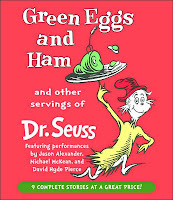 Fast-paced, fun, and full of rhythm in the way that no master like Dr. Seuss. Kids know these stories that are best when read aloud. 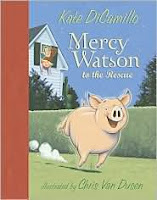 The Mercy Watson series is a light, silly mixture of reality and fantasy, starring a pig. Kate DiCamillo has a good way with words: simple, appealing, clever.